Street performers and children’s events are strategically placed throughout Main Street so a new adventure is always unfolding. One block may hold the Bounce Room and another face painting. Kids of all ages will have something special to enjoy. 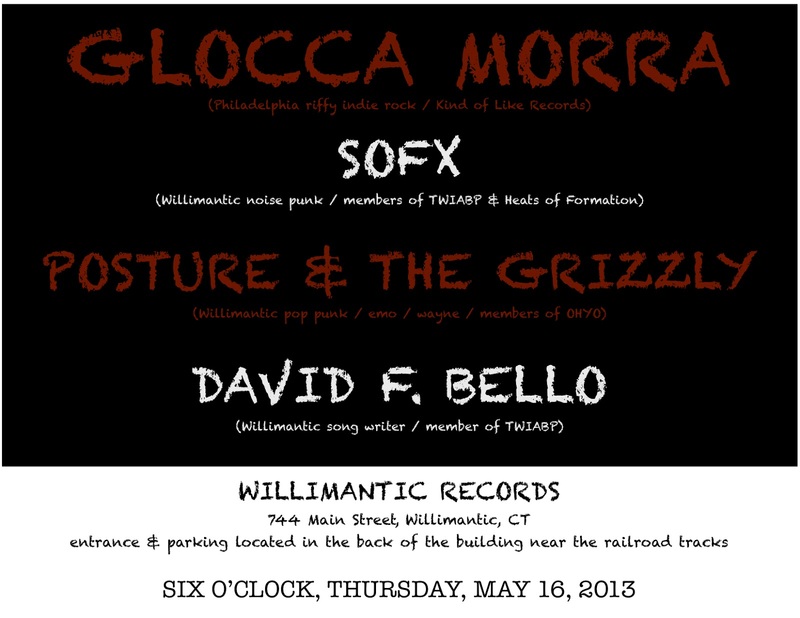 Willimantic Records is always open during the Third Thursday Fests and this week will be hosting an instore show featuring Glocca Morra, SOFX, Posture & the Grizzly, and David F. Bello. All shows at Willimantic Records are free, with donations to the musicians encouraged.